When I was first learning to paint my results were often disheartening, the apple looked too flat, the greens looked garish and harsh and I was generally getting more and more frustrated. I often took a large palette knife to the canvas and smeared the entire painting. The problem with learning to paint is that you have an inbuilt ‘taste’ meter. You know a good painting when you see one. You don’t have to be art educated or have studied the classics, you just need to trust your own judgments. So when you attempt your first painting and it goes wrong, you know it is wrong. You don’t need to understand how something is produced to appreciate the aesthetic, you just have to have the faith in yourself that new skills and techniques can be learnt. The two customers from our gallery that always commented on paintings with sharp analysis were my window cleaner and my builder. They didn’t have trained eyes, they had keen eyes. A trained eye can help you progress rapidly, rather than you giving up too soon. The Old Masters trained for years as apprentices, working directly under someone who knew the principles that worked. 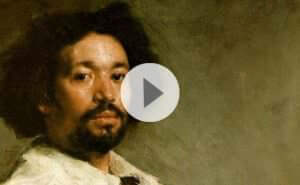 John Singer Sargent began his art studies with the portrait artist Carolus-Duran. Leonardo da Vinci studied under Andrea del Verrocchio the great sculptor and painter. Caravaggio studied his apprenticeship with Simone Peterzano who himself had trained under Titian. So take on board principles rather than gimmicks or tricks and let your style develop. Don’t be disheartened by your ‘mistakes’ when you are learning to paint, they might just have the key to your future. Will Kemp, The Art of Acrylics painting course, completed still life. That’s the reason I’ve made this easy to follow, 12 part on-line video course to help aspiring artists fast track their learning. Rather than offering quick tips and gimmicks, that can sometimes do more harm than good, I wanted to create a video learning experience, so you can actually see every single brush stroke of a painting from absolute start to finish. You’ll learn classical principles that are the building blocks of all great paintings alongside invaluable tips that I use in my every day painting practice. These initial 12 lessons will provide you with a complete methodology for creating professional, beautiful, still life acrylic paintings. So if you follow the simple step by step instruction you will create paintings you didn’t think you could… but you can! Please note: This Course is currently being updated, the Floral Still Course covers the same colour palette and principles. HI Bjorn, good to hear from you. For the “Art of Acrylics” painting course I’ll be using the colours recommended in choosing a basic acrylic palette: Burnt Umber, ultramarine blue, yellow ochre, cadmium yellow light, titanium white and permanent Alizarin crimson (winsor & newton). If you can’t find the exact match let me know and I’ll suggest some alternatives. Great to hear your getting inspired to get painting! Hi Will, only one question… where do I sign-up? Love your work and the videos are excellent! Thanks very much, great to hear the videos are helpful. I’m just doing the final tweaks to the “The Art of Acrylics”, and from Friday morning it will be available. There will be a link from this website to the course. Looking forward to having you on-board! Just love your work! It’s unbelievable! Just want to know if u can help me? cause I’m a beginner. Hi Gerald, yes of course! My lessons are aimed at beginners who are just starting painting but want to learn using classical technqies and principles. 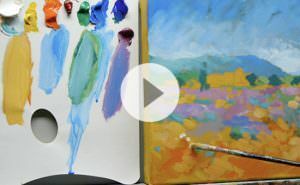 Try one of the free video tutorials, the jug only uses 3 paints so a great one to start with. When you’ve gained some confidence this course will go into the techniqes in more details. Hope you’re doing well, and so pleased you’ve been enjoying the videos. I’m currently working on a new landscape course so the updated acrylic still life might not be out for a while. The still life masterclass gets great results and the goblet painting on the course just uses two colours so should be a good starting point for the more complicated composition of the main painting. Thanks for the update, no worries, take your time with it! 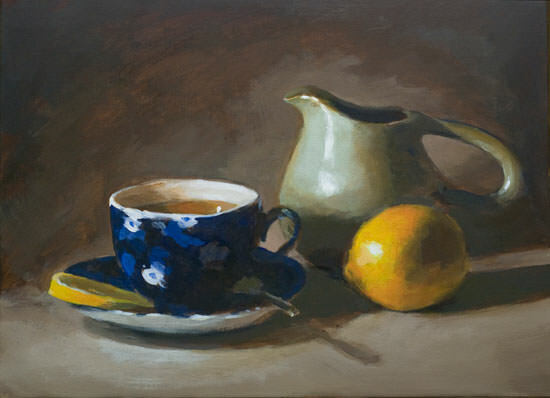 I have just signed up for the master class of the still life ytd! Gonna start on it over the weekend.. Awesome stuff :) Just a question, after i have a basic grasp of still life, will moving on to landscape or portraits be a better choice? Good one Venus, really hope you enjoy the course. It’s a personal preference in terms of landscape or portraits, the colour mixtures and forms on still life are closer to the colours you’d use in portraits but the drawing for the portraits is more important for capturing the likeness of the sitter. I have followed your instructions on the you tube on the beginners guide to Acrylic and as it turned out my still life on that JUg was so pleasing to me .I really appreciate your method of teaching .I want to go further paint the next one the still life with the cup and the jug but I am not able to follow the fast approach for I like to take my time with my painting .Please let me know of any class that would not start from the rudiments but take me up further , for I have painted that Cheery too and loved every moment and love to do more still life before I move on to landscape ..
Hi Dorothy, so pleased you’ve been enjoying the jug and still life lessons. I’m in the process of making a new beginners still life painting course but it isn’t available at the moment. The still life masterclass course introduced more complex subject arrangements but still follows the step by step approach.